We have a secret…you don’t have to wait until spring to use our spring cleaning service! If you need some cleaning support for a special occasion, or simply want a fresh start for any season, this deep cleaning service was made for you. We realize not every home is in need of a weekly cleaning. Some homeowners are only looking for a professional cleaning once a year or for special events. We support the needs of all our customers and remain committed to providing the deepest cleaning solutions on every job, even if only once a year. Though spring tends to be the most popular time to remove winter build-up of dust and grime, our cleaners are happy to visit when you need us the most- whatever season that may be! 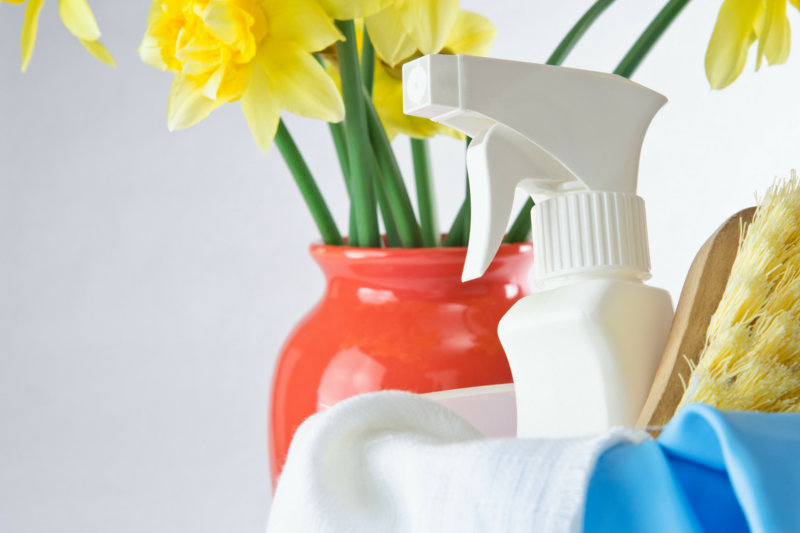 Our spring cleaning services are most fitting for the areas of your home you just can’t seem to get clean enough. With almost 10-years of professional cleaning experience, our talented team is brimming with tricks to tackle your dirtiest spaces. We use high-quality products to achieve outstanding results, cleaning deeper than our competitors, while always keeping your families health and well-being at heart. If you ask for a one-time cleaning service, you expect the best of the best. Our team is committed to taking the time needed to provide only exactly what you’re looking for. Effective deep cleaning can take time, so we start off by setting an appointment with ample time to complete a comprehensive service. We’ll create a customized cleaning plan around your expectations and wishes to ensure we hit every space needed. During a deep clean, we pay close attention to areas and fixtures often passed over in general cleanings: light fixtures, between baseboards, behind the fridge, under the bed. In addition, our team will focus on reducing the build-up of dust, grime, dander, dirt, and other pathogens causing allergies and illnesses to your family. For special events, we’ll make sure to ask for any unique instructions that will help us prepare adequately for the occasion.